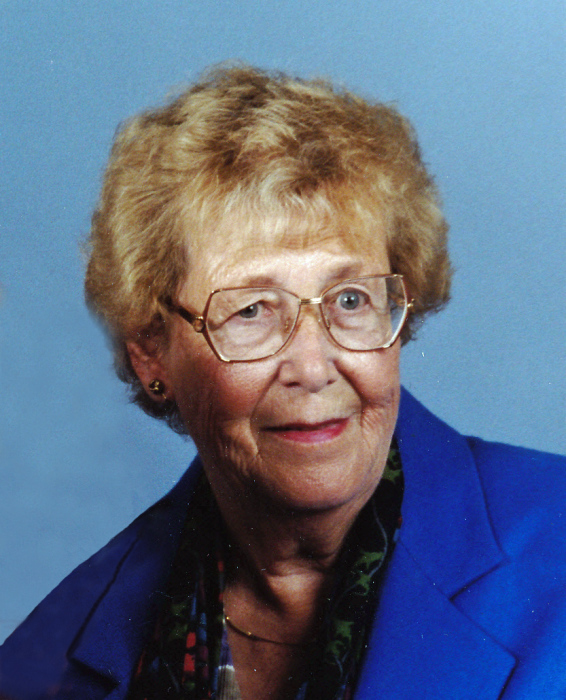 Obituary for Ava (Hylkema) Rexrode | Obaugh Funeral Home, Inc.
Ava (Hylkema) Rexrode, 93, formerly of Blue Grass, passed away Friday, February 1, 2019 at the Sunnyside Presbyterian Community in Harrisonburg. She was born May 12, 1925 a daughter of Gerritbregtje Helena DeVas and Albert Hylkema in Amsterdam, Holland. Ava married Eugene Russell Rexrode, together they shared 53 years of marriage before his passing on February 15, 2004. Ava was a homemaker, who alongside her husband, owned and operated the Highland Drive-In from 1952 to 1973. She enjoyed attending Blue Grass United Methodist Church, sewing and time spent working on crossword puzzles. Additionally, Ava will be remembered as a quick-witted and humorous person, who was never too timid to speak her mind. In addition to her parents and husband, she was predeceased by her brother, Jacobus “Ko” Hylkema. She is survived by her daughter Betty Constantine of Florida; three sons, Dayton A. Rexrode of Salisbury, Md., Don L. Rexrode of Fairfax and Bob E. Rexrode and wife, Jeannie of Mt. Solon; five grandchildren, Philip Constantine, Tara Constantine, Joshua Rexrode, Jackie Rexrode and Katie Callison; six great-grandchildren; as well as a niece, Yolanda Hylkema of California. A memorial service will be held 11 a.m., Tuesday, February 5, 2019 at Obaugh Funeral Home with the Rev. Andre Crummett officiating. A committal service will follow in Blue Grass Cemetery. Family will receive friends one hour prior to the service at the funeral home. Memorial contributions may be made to Highland Medical Center, P.O. Box 490, Monterey, Va. 24465.